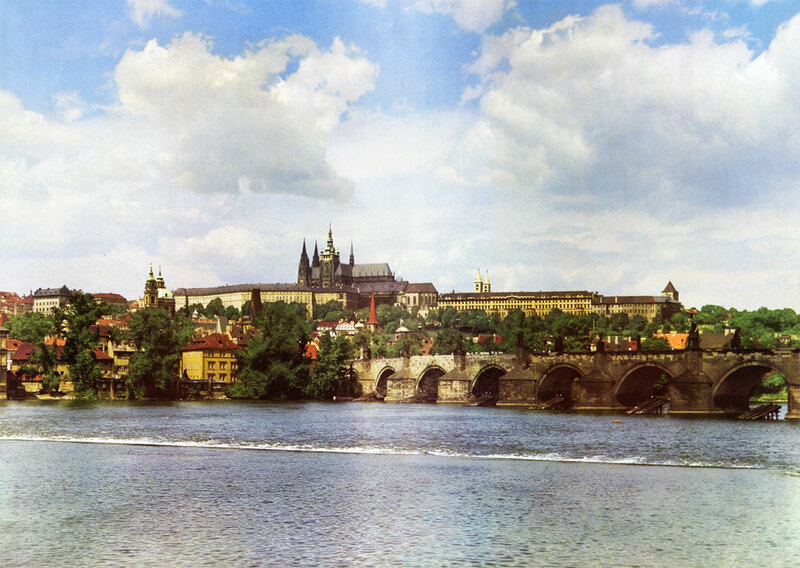 The panorama of Prague Castle as seen from the Smetana Embankment is inseparably linked ith the River Vltava and Charles Bridge. The southern front of the Castle was given a unified appearance during buildirlg alterations undertaken in the years 1753 to 1775 to a design by Nicolo Pacassi. 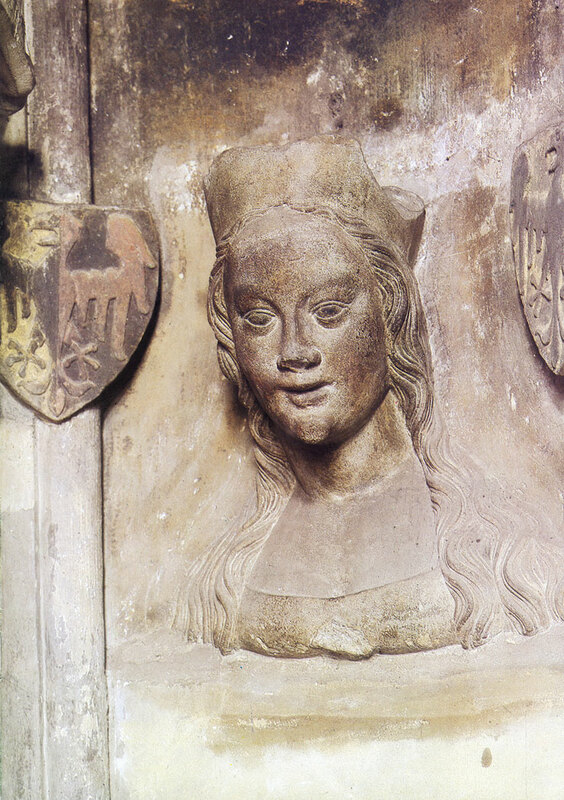 The portrait of Anne of Svidnice (1362), Emperor Charles' third wife, was fashioned in Peter Parler's masonic lodge in 1374 - 1385 for the portrait gallery on the triforium of St. Vitus's Cathedral. 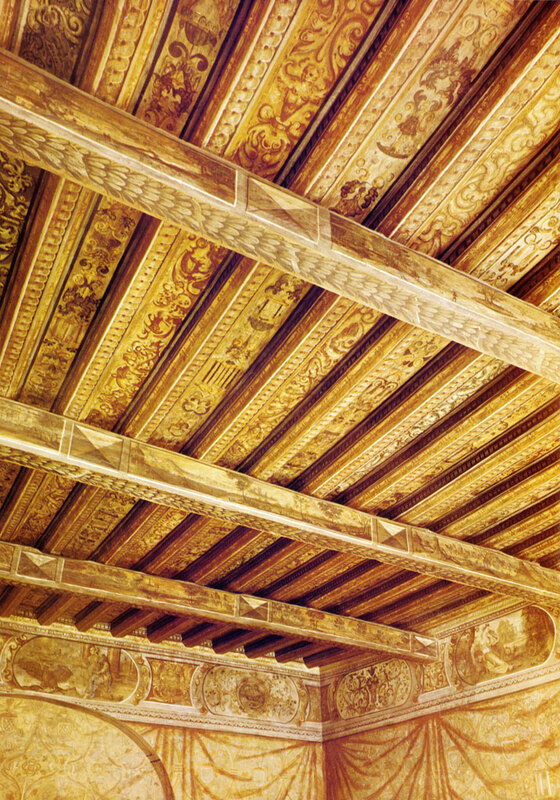 A painted Renaissance ceiling from the second half of the 16th century was discovered and restored in 1963 when the former Burgrave's Palace was rebuilt as the House of Czechoslovak Children. The room in which the ceiling is located was used for sessions of the Burgrave's Court. The oldest known depiction of Prague in Hartmann Schedel's book Liber chronicarum printed in Nuremberg in the year 1493. The view of the Castle from the Royal Gardens, separated from the Castle spur by the Stag Moat with the precints of the former St. George's Convent in the foreground. 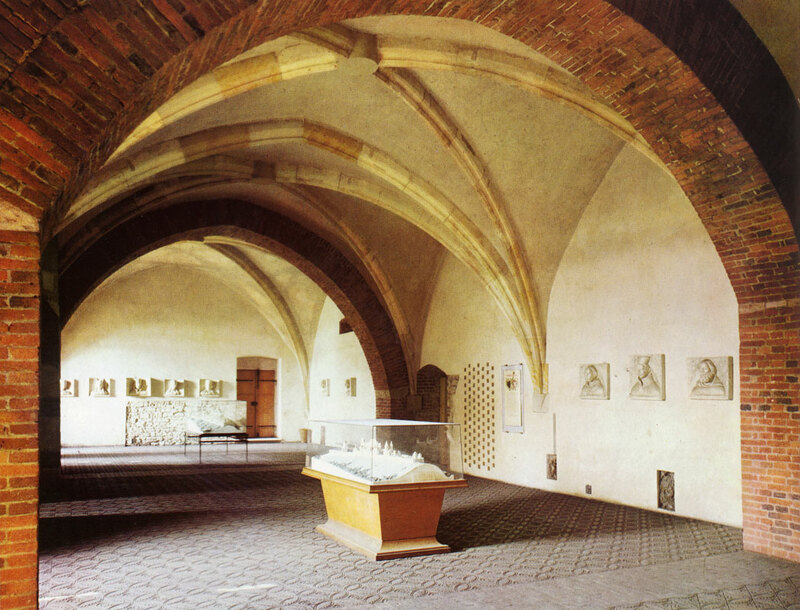 The Convent of the Benedictine nuns was founded in 973 A. D. and was the oldest convent in Bohemia. It was dissolved in 1782. Now it houses the collections of the National Gallery. 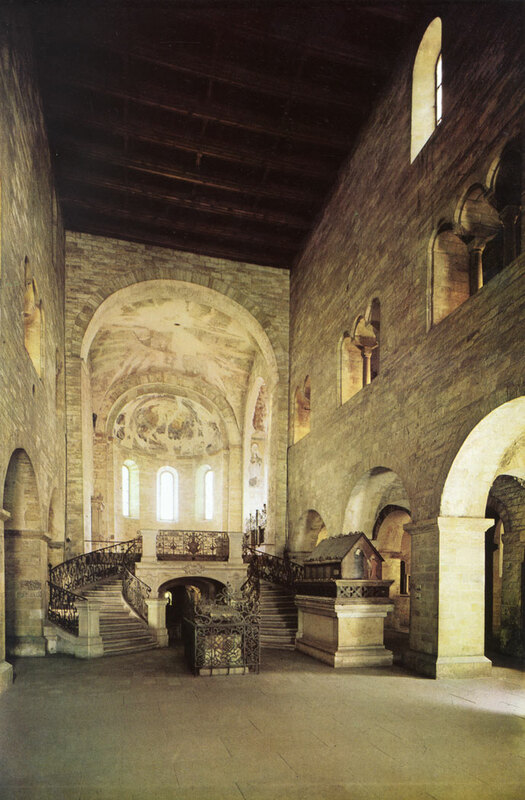 The nave and aisles of the Romanesque basilica of St. George (bazilika sv. Jifi) were built after 1142 on foundations of an older building dating back to the pre-Romanesque period. 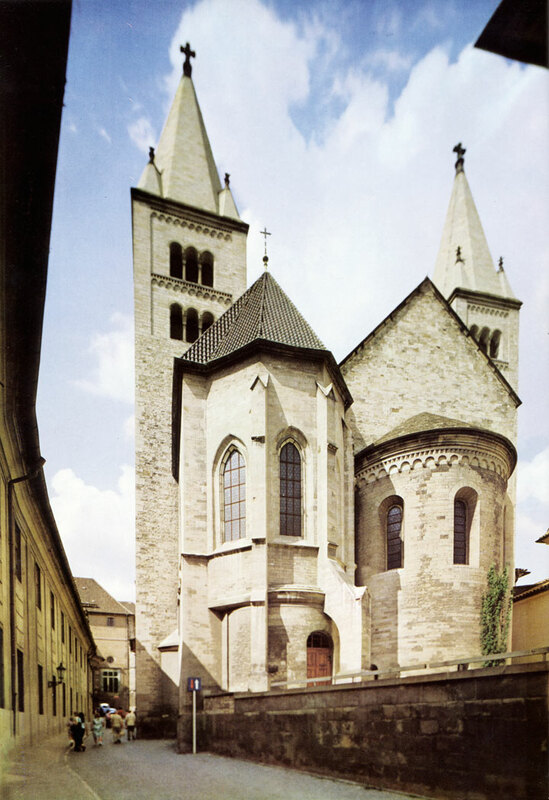 In the early 13th century the lower parts of a new chapel were added at the foot of the southern tower; this chapel, consecrated to St. Ludmilla, was completed in Gothic style after the middle of the 14th century. The Romanesque character of the interior of St. George's basilica was renewed during restoration work in the years 1888 - 1917. By the stairway lead­ing to the presbytery are situated the tombs of the rulers of the Pfemyslid dynasty: Vratislav I, who founded the church in c. 920, and Boleslav II (967 to 999). Fragments of Romanesque, Gothic and Renais­sance paintings survive on the ceiling of the choir. 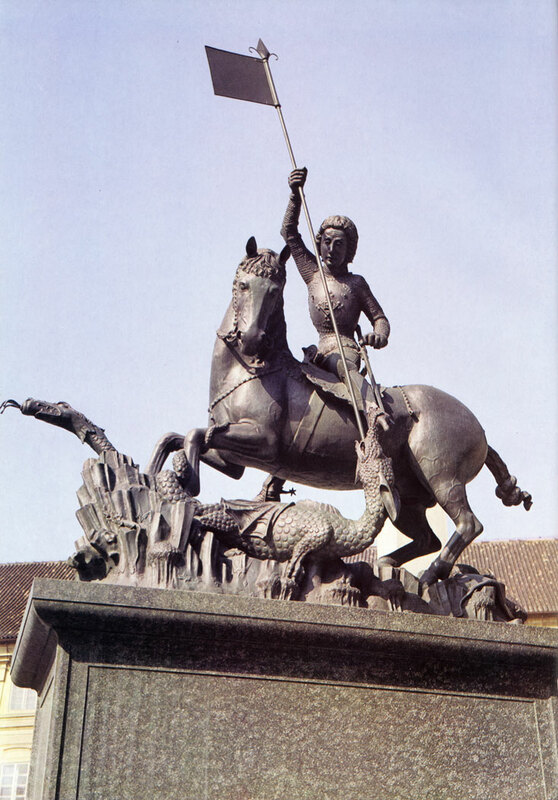 The equestrian statue of St. George on the third courtyard of Prague Castle dates from c. 1373. It is the work of George and Martin of Cluj. 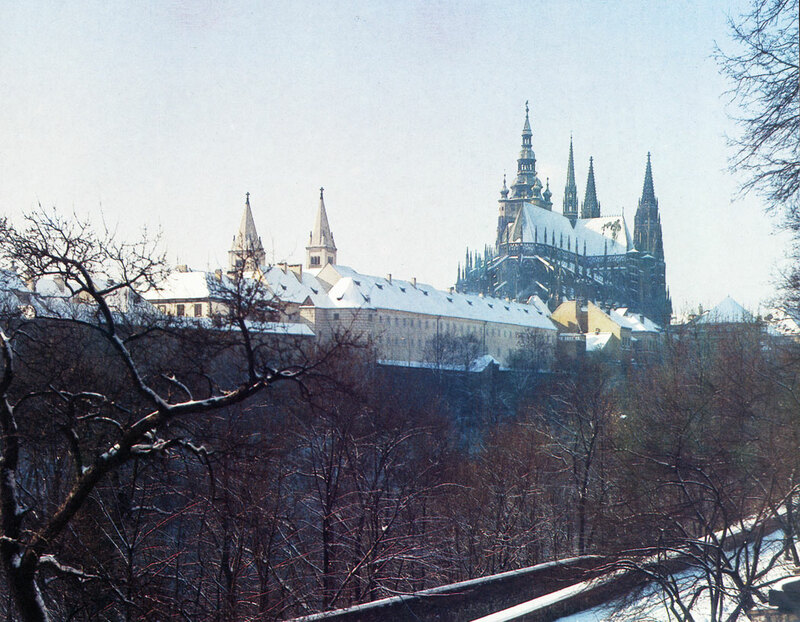 The Riders' Staircase leading from the Castle courtyard to the Old Palace was built in c. 1500 by Benedikt Ried and his masonic lodge during extensive recon­struction work on the Castle. It enabled riders on horseback to enter the Vladislav Hall where in the first half of the 16th century knightly tournaments were held. 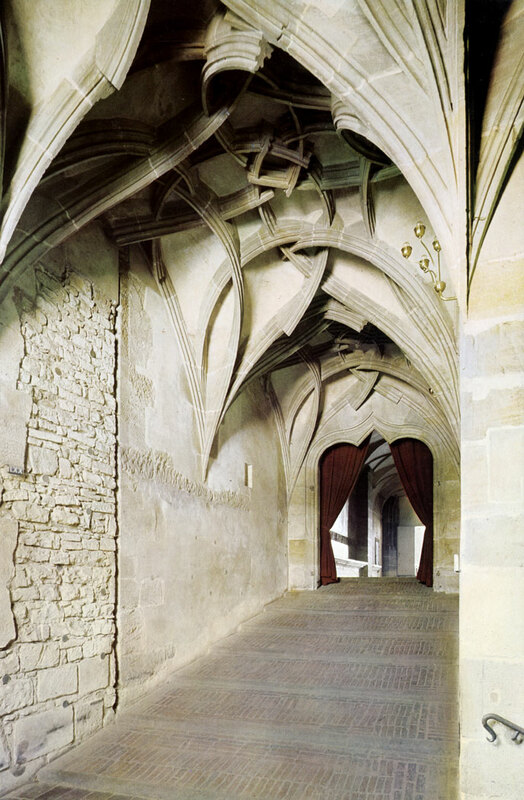 The Halls of King Charles take up the groundfloor of the Gothic palace built in the second half of the 14th century, during the reigns of Charles IV and Wenceslas IV. 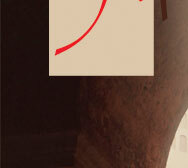 Today they are used for exhibitions of the Castle Collections.